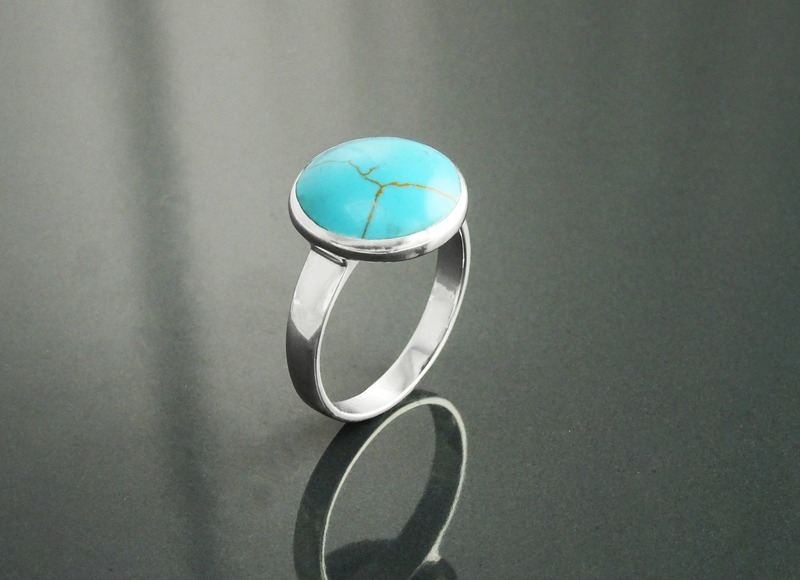 Simple and Chic in Design, this ring is set with Sterling Silver and a Turquoise. 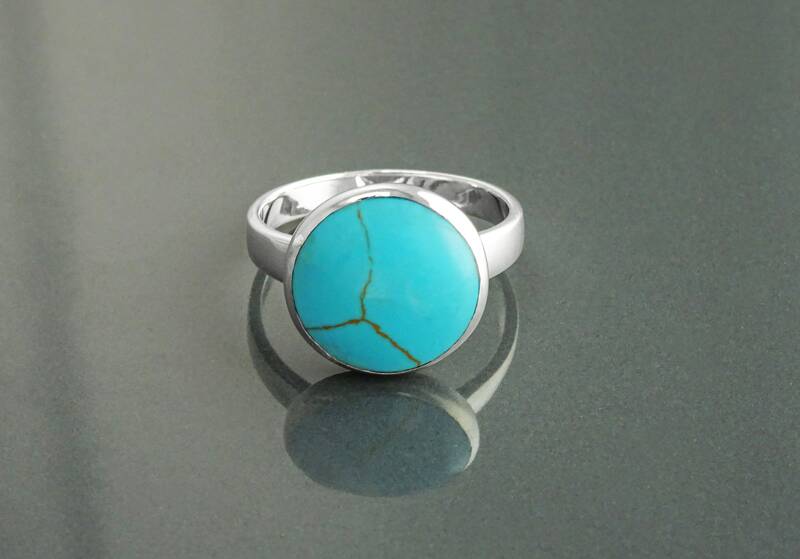 Ring features a 1.5 cm wide Turquoise. 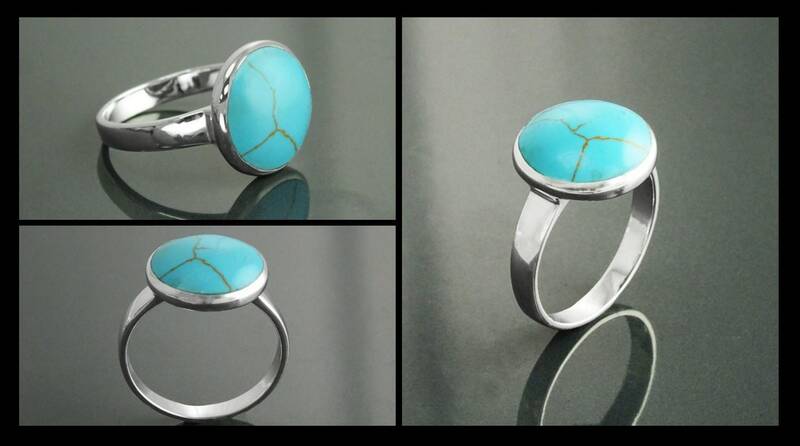 * Ring can also be done with White Mother of Pearl . 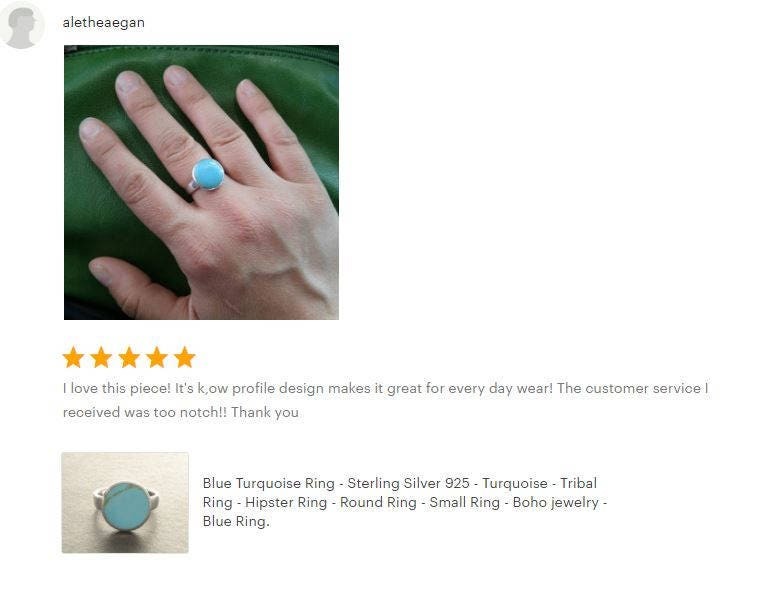 A lovely ring and excellent service. 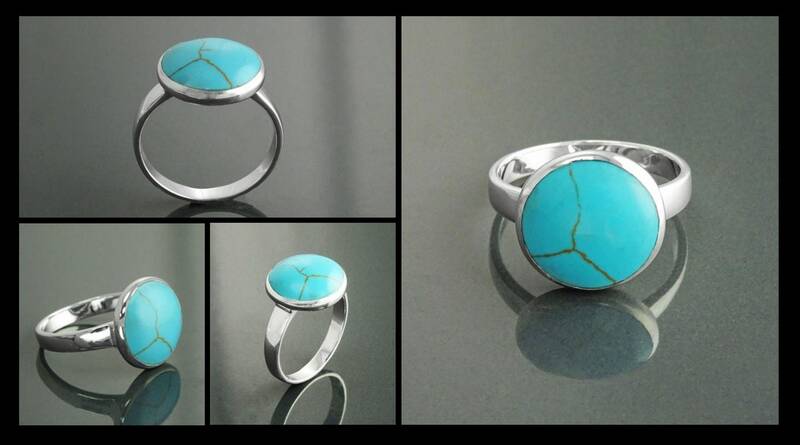 I am very happy with this purchase, the ring is exactly like the description, it fits perfectly and the stone is just beautiful. It is what I wanted and I am delighted with it! It has become a favourite of mine. I am also very pleased, as it arrived very quickly and there were absolutely no problems with the delivery. 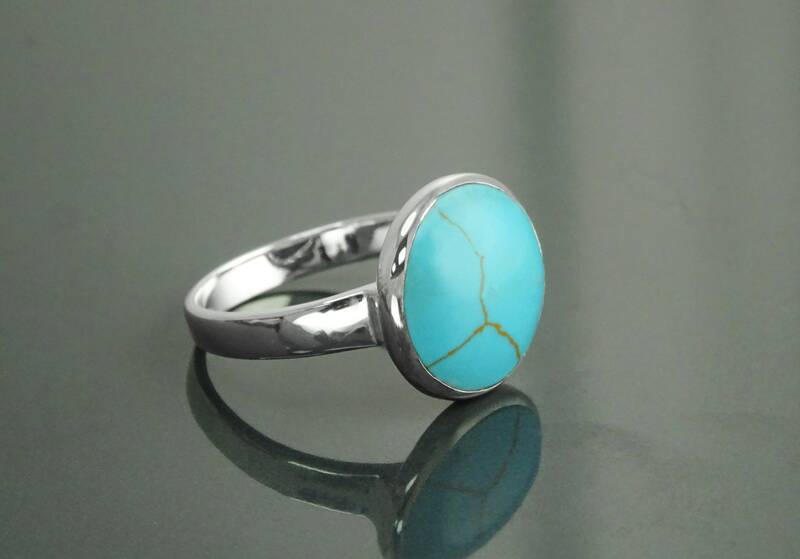 I love my new ring! 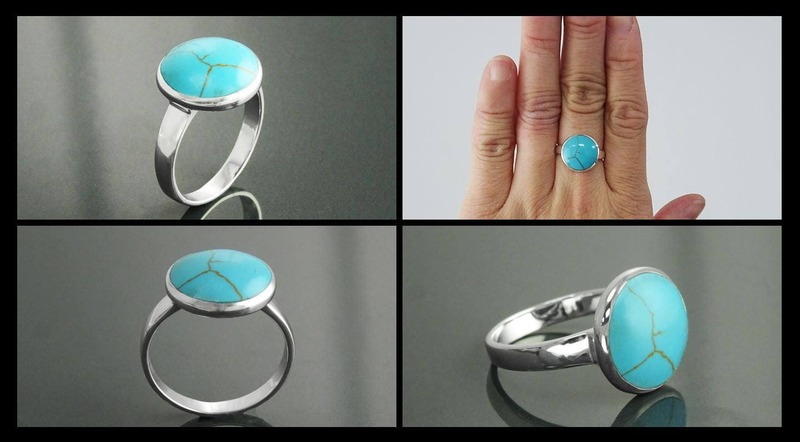 It is beautifully made, fits perfectly, and is really comfortable. It also shipped and arrived quickly. Thank you!